« A une époque où l’individualisme forcené a brisé presque tous les rêves collectifs, il m’a semblé urgent de repenser à la fois les rapports entre les artistes eux-mêmes et leur relation au monde à travers la musique. De ce double questionnement est née l’idée des Dissonances. Les Dissonances, collectif d’artistes : quel drôle de nom pour un orchestre ! On a pris l’habitude de voir les musiciens classiques dirigés à la baguette ; quel est donc ce vent de liberté ? La liberté de se réunir lors de sessions de travail, dans un espace décloisonné où chacun crée sa place. Les solistes, les chambristes, les musiciens d’orchestre se retrouvent côte à côte afin de s’enrichir mutuellement de l’expérience de l’autre. Un espace où compositeurs et interprètes renouent un dialogue nécessaire après des années durant lesquelles une partie de la musique contemporaine s’est éloignée de ses contemporains en se cantonnant parfois aux champs de l’expérimentation. 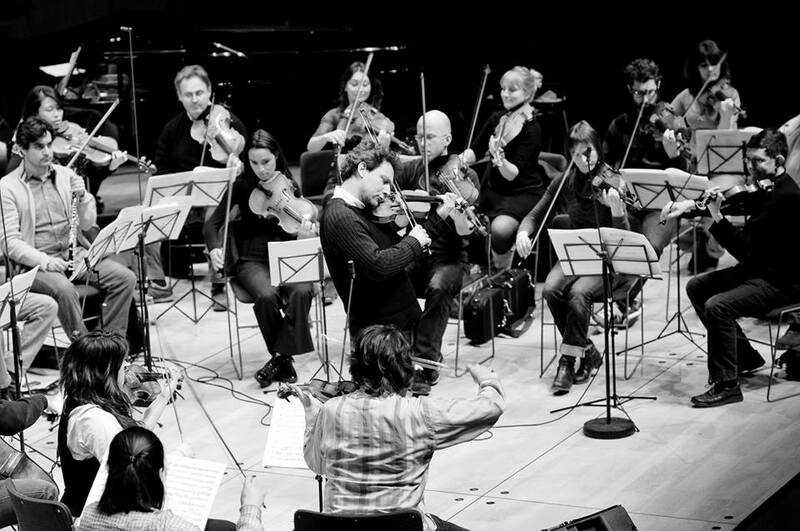 The ensemble Les Dissonances was founded in 2004, on the initiative of the violinist David Grimal. The orchestra plays works of the symphonic repertoire self conducted, and varies in size according to the requirements of the repertoire, having a absolute freedom of interpretation. 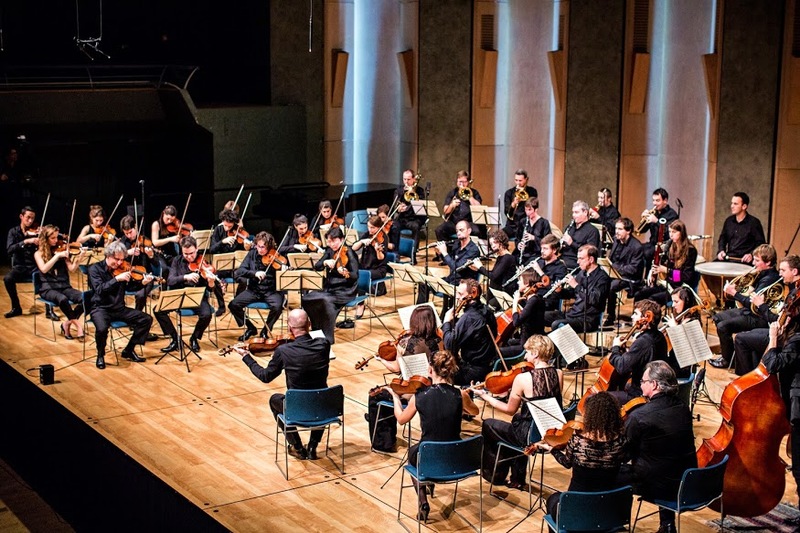 Its repertoire includes most of the classical works (Mozart, Beethoven, Schubert, Brahms, Vivaldi) as well as modern and contemporary repertoire (Schoenberg, Dutilleux, Ligeti...). 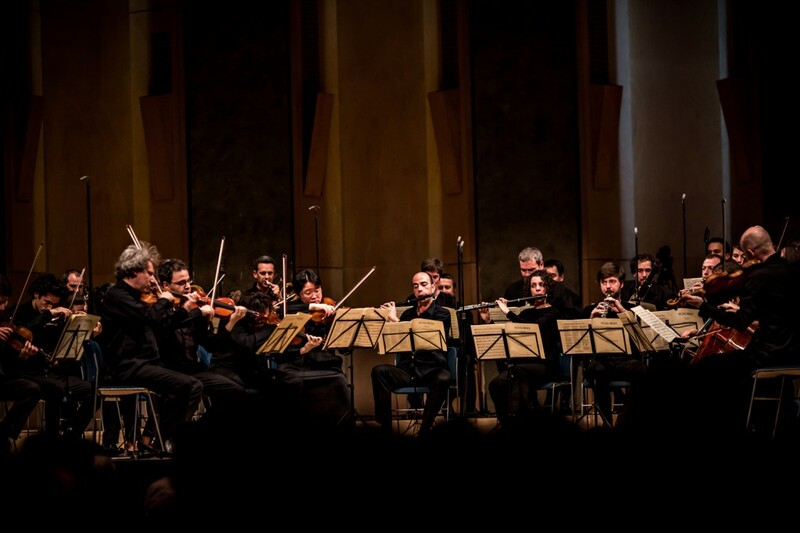 In order to develop youngest knowledge to classical music, Les Dissonances also leads educational projects as Violin workshops in schools (P' titssonances - Little Dissonances), educational concerts or open rehearsals. In 2014 The Dissonances creates their own label © Dissonances Records. For several years, the ensemble has been associated with three major concert halls in France: Cité de la Musique in Paris, Opéra de Dijon and Le Volcan in Le Havre. Such a continuous collaboration has fostered a lasting and trusting relationship with these prestigious venues. Les Dissonances have also set up a special event, the Other Season, a yearly concert taking place in a Parisian church to the benefit of homeless people. “ At a time when almost all collective dreams have been shattered by unfettered individualism, it seemed imperative to reconsider both the relationships artists entertain with each other and their link to the world by way of music. Les Dissonances as a concept was born from this dual questioning. Les Dissonances, a Musicians’ Collective: what an odd way to label an orchestra! 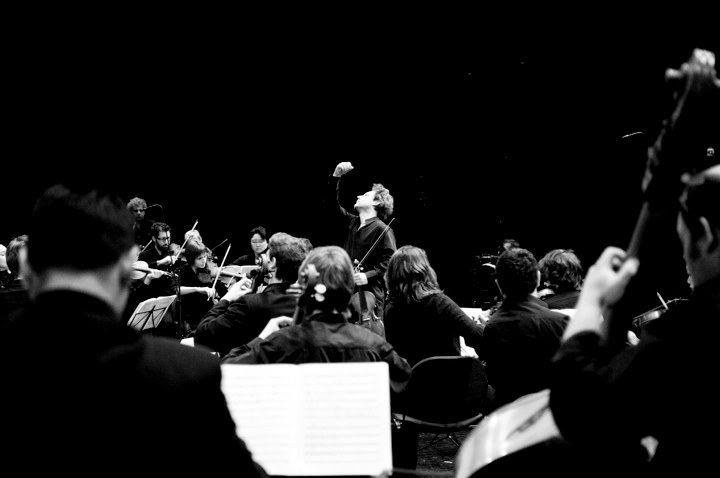 We are nowadays used to seeing classical instrumentalists ruled with the iron rod of a conductor’s baton: whence, therefore, this whiff of freedom – under which, unburdened with any preconceived pigeonholing, soloists, chamber and orchestra musicians gather for working sessions as equals in order to expand their horizon by means of their peers’ experience? In such a setting, composers and performers may at long last rekindle their necessary dialogue, after many years during which much of contemporary music, sometimes confining itself to sheer experimentation, had lost sight of its contemporaries. Les Dissonances is something of a defiant venture: in a world where art is so often seen as a mere commodity, it endeavors to establish a forum for free expression. It has to become some sort of think-tank seeking to extract classical music from its self-inflected ghetto without simultaneously falling prey to any mercantile demagoguery which would strip off its beauty. Art is what the sacred imparts to us. Such is the conviction of all the artists from Les Dissonances: it is first and foremost their passion they want you to partake of." “ The ©Dissonances Records label is simply an extension of the free and creative space created almost a decade ago. This same audacity and desire to exist as a record label gets to the heart of the natural essence and motivation behind all of our work." 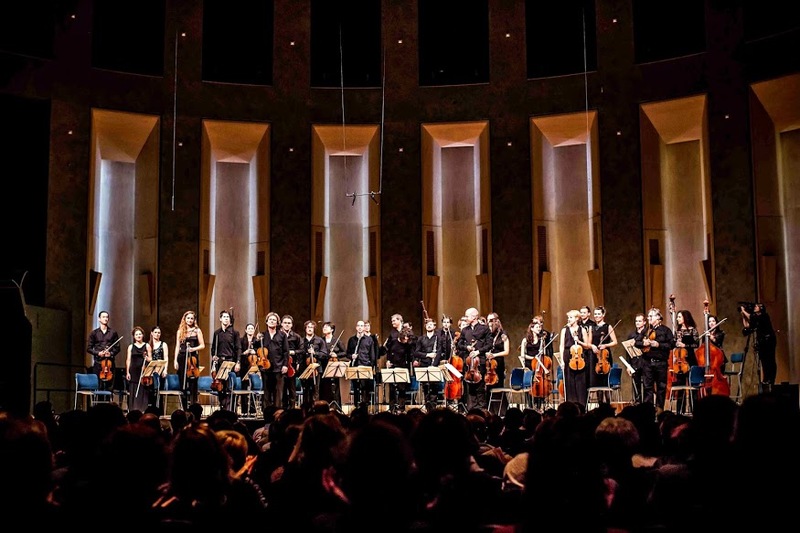 Il est sollicité par de nombreux orchestres : Orchestre de Paris, Orchestre Philharmonique de Radio France, Orchestre National de Russie, Orchestre National de Lyon, New Japan Philharmonic, Orchestre de l’Opéra de Lyon, Orchestre du Mozarteum de Salzbourg, Orchestre Symphonique de Jérusalem ou Sinfonia Varsovia, sous la direction de Christoph Eschenbach, Michel Plasson, Michael Schønwandt, Peter Csaba, Heinrich Schiff, Lawrence Foster, Emmanuel Krivine, Mikhaïl Pletnev, Rafael Frühbeck de Burgos, Peter Eötvös… De nombreux compositeurs lui ont dédié leurs œuvres, parmi lesquels Marc-André Dalbavie, Brice Pauset, Thierry Escaich, Jean-François Zygel, Alexandre Gasparov, Victor Kissine, Fuminori Tanada, Ivan Fedele, Philippe Hersant, Anders Hillborg, Oscar Bianchi, Guillaume Connesson, et Frédéric Verrières. Depuis de nombreuses années, David Grimal poursuit par ailleurs une collaboration avec Georges Pludermacher en récital. Ils se produisent dans le monde entier et leur discographie, qui comprend des œuvres de Ravel, Debussy, Bartók, Franck, Strauss, Enesco, Szymanowski et Janácek, a obtenu des récompenses prestigieuses. 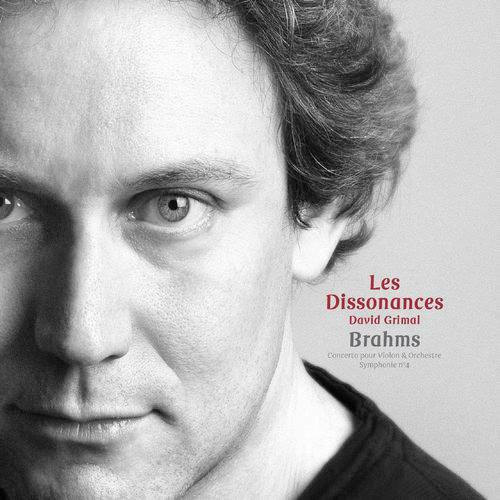 David Grimal a enregistré les Sonatines de Schubert avec Valery Afanassiev. En 2009, son intégrale des Sonates et Partitas de Bach, accompagnée de Kontrapartita - une création de Brice Pauset qui lui est dédiée -, a obtenu le Choc de Classica - Le Monde de la Musique. Son enregistrement du Concerto pour violon de Thierry Escaich avec l’Orchestre National de Lyon a quant à lui reçu le Choc de Classica en 2011. En marge de sa carrière de soliste, David Grimal a souhaité s’investir dans des projets plus personnels. L’espace de liberté qu’il a créé avec Les Dissonances lui permet de développer son univers intérieur en explorant d’autres repertoires. Sous l’égide des Dissonances, il a également créé « L’Autre saison », une saison de concerts en faveur des sans-abris, en l’église St Leu à Paris. 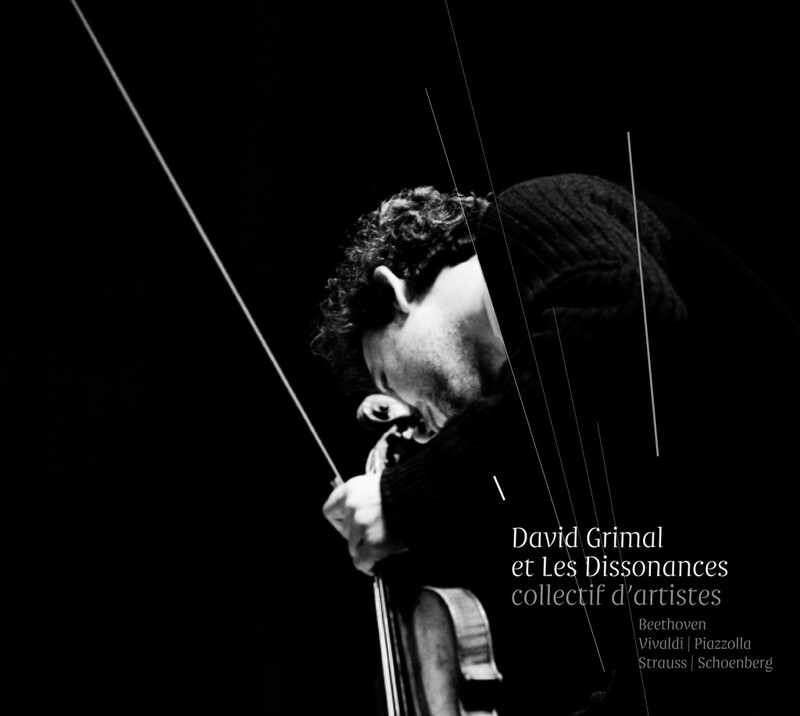 David Grimal est artiste en résidence à l’Opéra de Dijon depuis 2008. Il enseigne le violon à la Musikhochschule de Sarrebruck en Allemagne, donne de nombreuses masterclasses et a été membre du jury du dernier Concours International Long-Thibaud à Paris. Il a été fait chevalier dans l’ordre des Arts et des Lettres par le ministre de la Culture en 2008. Il joue sur un Stradivarius, le « ex-Roederer » de 1710, et sur un violon fait pour lui par le luthier français Jacques Fustier, le « Don Quichotte ». 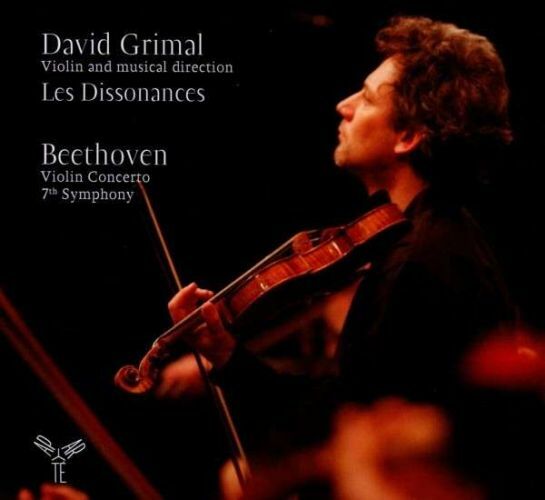 David Grimal took up the violin at the age of five. Following his studies with Régis Pasquier at the Paris Conservatoire, he enriched his musicality by studying with prestigious artists such as Schlomo Mintz and Isaac Stern. He spent a year studying at the Paris Institute of Political Studies (“Sciences Po”), then his meeting with the violinist Philippe Hirschorn proved decisive: the latter was to become his mentor. Appreciated for the purity of his playing and his integrity as an artist, he is invited to perform with all the major international orchestras – Orchestre de Paris (C. Eschenbach, M. Plasson), Orchestre Philharmonique de Radio France (S. Skrowacevski, R. Frübeck de Burgos), Orchestre National de Lyon, Orchestre de l’Opéra de Lyon (E. Krivine), Capitole de Toulouse (Jap van Sweden), Île-de-France, Pays de Loire, Lille, Strasbourg, Nancy, Cannes, and so on – and with great orchestras all over the world: Mozarteum Salzburg (H. Soudant), Berliner Sinfonie (S. Sloane), Florida Philharmonic (M. Bamert), English Chamber Orchestra (J. Judd), Gulbenkian Lisbon (L. Foster), Sinfonia Varsovia (M. Schønwandt, P. Csaba), Sinfonieorchester Basel (H. Schiff), Moscow Chamber Orchestra, the Moscow Soloists, BBC Philharmonic, Bremen Philharmoniker, the symphony orchestras of Monte-Carlo, Ulster, Stavanger, Rostock, Vorarlberg, Bolzano, Bilbao, Budapest, Bucharest, Taipei, Jerusalem, Mexico, etc. Many composers have dedicated works to David Grimal. They include Marc-André Dalbavie, Brice Pauset, Thierry Escaich, Jean-François Zygel, Alexander Gasparov, Victor Kissine, Fuminori Tanada, Ivan Fedele, Philippe Hersant, Anders Hillborg, Oscar Bianchi, Guillaume Connesson and Frédéric Verrières. 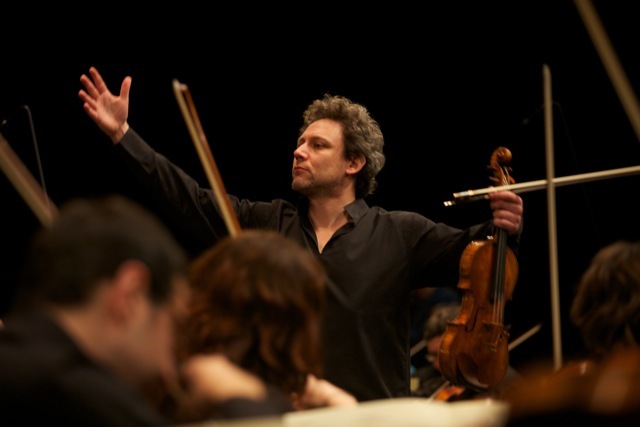 In October 2009 he was invited to create the Violin Concerto by Thierry Escaich with the Orchestre National de Lyon. In 2011 the recording of this performance received the Classica’s Choc. And in October 2010, he also created Schlag-Kantilene, prelude to the Violin Concerto byBeethoven by Brice Pauset. Furthermore, for many years now David Grimal has enjoyed a rewarding collaboration with pianist Georges Pludermacher. They perform together all over the world and their recordings, including notably works by Ravel, Debussy, Bartók, Franck, Strauss, Enescu, Szymanovski and Janácek, have received wide press acclaim (Strad Selection, 5 star BBC Mag, Arte selection, ffffTelerama…). 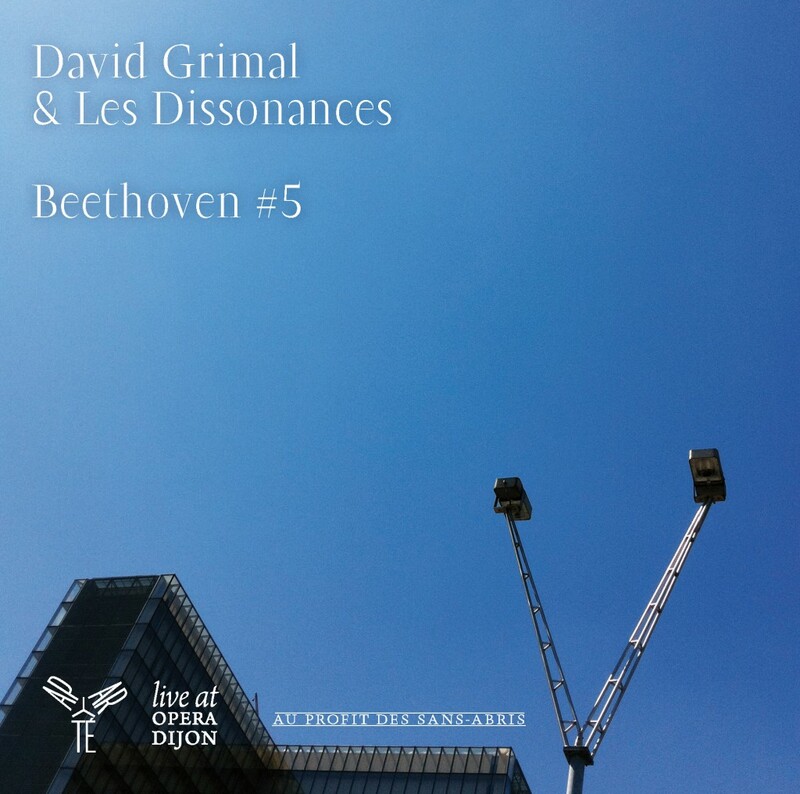 David Grimal has also recorded Schubert’s Sonatinas with Valery Afanassiev, and in Dijon, he recorded Bach’s complete Sonatas and Partitas, along with Kontrapartita, a new work dedicated to him by Brice Pauset and commissioned by Dijon Opéra. The latter recording was an immediate success. 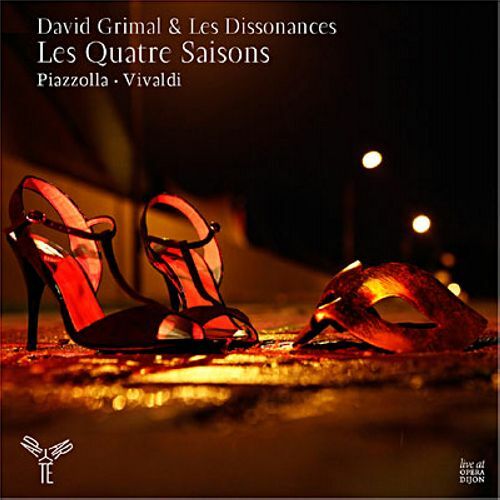 In 2010, Label Aparté edited two recordings with Les Dissonances: Beethoven – Violin Concerto and 7th Symphony (ffff Telerama, “Le Monde” selection 2010) and the Fourth Seasons from Vivaldi and Piazzola. 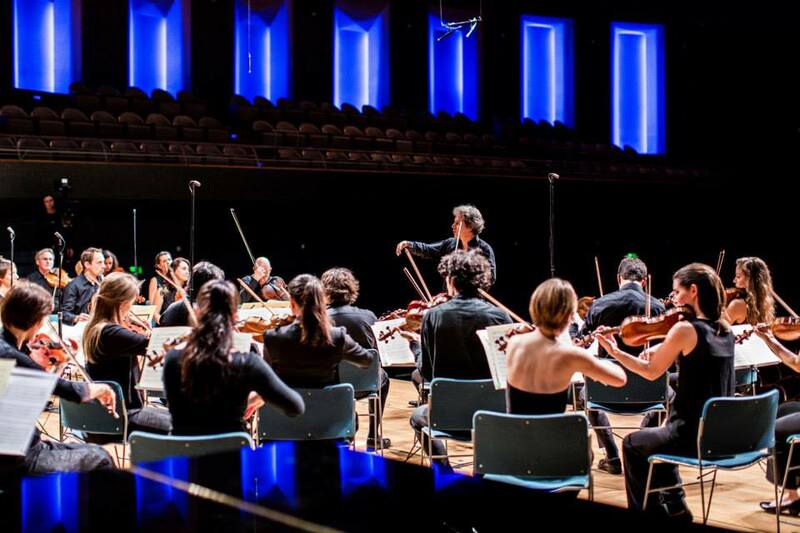 In 2011, Label Aparté edited Beethoven 5th Symphony (ffff Telerama). With Les Dissonances, David Grimal creates in the heart of Paris “The Other Season” : 10 concerts a year for homeless people. David Grimal teaches violin at the Musikhochschule Saarbrücken in Germany. He was made a Chevalier des Arts et Lettres by the French Ministry of Culture in 2008. He plays the “ex-Roederer” Stradivarius (1710), and also the “Don Quichotte”, a violin made for him by French instrument maker Jacques Fustier.